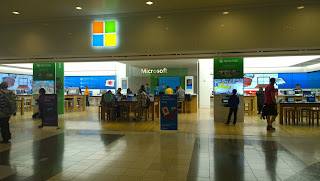 This is the Microsoft Store at the Westfield Center off Market Street in San Francisco. I stopped by and bought a small Windows tablet on special offer for $79. I was on holiday. The offer was pretty good. There were software vouchers in the deal and a year of Office 365. So it was all good. The experience was excellent and the staff were great. However when I buy a PC or tablet in the UK I go to a general PC store. They are what they are. In the back the store sells TVs, the staff are paid commission, they know very little about what they are selling but that's not their fault. 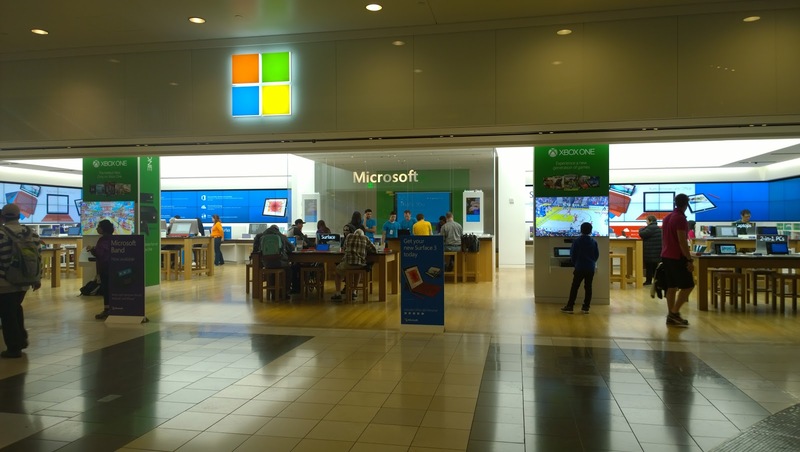 Retail has moved on for the US PC buyer but for most of the world only Apple retail stores are a presence. Microsoft is US only. They do have some Canadian outlets and one in Australia but it's really US only. The most important downside to this is the 'signature PC'. All the PCs sold in a Microsoft retail store are crapware free. They are just a pure Windows experience. Buy from regular retail and you get a PC bloated by unwanted special offers, advertising, "enhanced experiences", and sometimes even malware. The global PC buying experience is dire and customers want something better. However Microsoft fails as a global company by being US Only. However it's not just Microsoft. Want to use Google Voice in the UK? That would be US only. How about Project Fi? Not available in my region. What about Cortana for Android? US Only too. You can sideload from an APK site but it's locked for US regional settings. Bing Rewards? No. That's US only too. I get emails telling me I have rewards waiting. You just can't get them outside the USA. There is also this advert from Microsoft. Years behind Apple and Google with NFC mobile payments we have these young people tapping to pay. However it's US only. After 4 years of announcing Tap to Pay on Windowsphone in 2012 it is now available in the US market that has the worst take-up of Windowsphone globally. All Nokia phones, except for the extreme low budget models, were NFC ready globally. 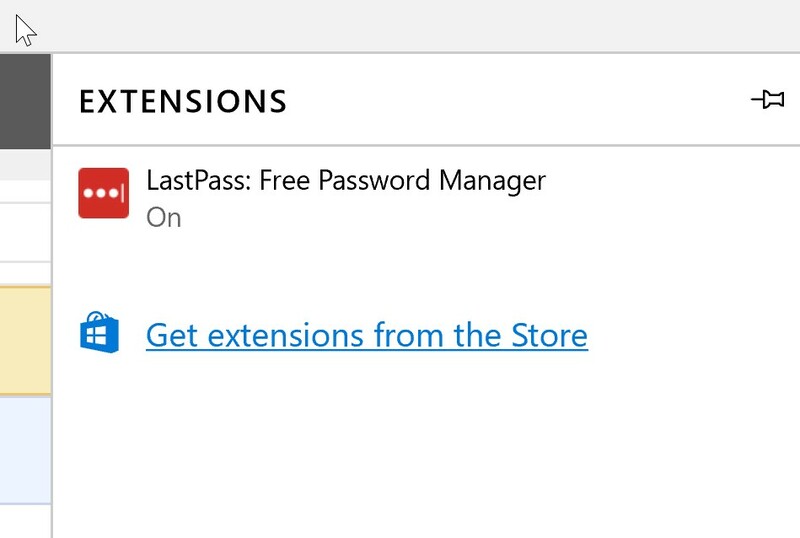 Microsoft, with it's head in the US market that was still swiping magnetic strips, was unable to launch in countries that have supported this for years. I have never seen so many Windowsphones used by Microsoft in any advert for a long time. It makes me think they used every Windowsphone in the US to make the ad. If you are not in the USA it's worth a giggle looking at the insular approach of the US tech giants. However this does have a dramatic effect. The top selling mobile devices are designed and built in the far east. Cambridge based ARM in the UK, not Intel, is now at the centre of the mobile chip market because it was not UK only. US only is not a mark of exclusivity but rather the failure of a global technology vision for US giants with the sole exception of Apple.